What is the world’s best offshore jurisdiction? In the last 10 years, the world’s offshore industry has gone through major change. New offshore centers have emerged, while others have drastically reduced in size. Some jurisdictions are categorized as Mid-Shore, which comprise a mix of off-shore and on-shore criteria. For the sake of this report, we have taken into consideration both offshore and mid-shore popular jurisdictions. So let’s go back to our offshore industry evolution. What has created so many changes? The exponential globalisation the world has experienced since World War II has resulted in a need for rapid, cost and tax efficient structures to be able to hold assets, to conduct business and trade. In the Caribbean: The British Virgin Islands, Cayman and Bahamas have rapidly grown to become major players. In Europe: Cyprus, Gibraltar, Malta and the UK have attracted a lot of offshore business. In Asia, Hong Kong and Singapore have always been on the forefront of global off-shore jurisdictions. From the 2000s, new offshore centers emerged in Africa and the Middle East. 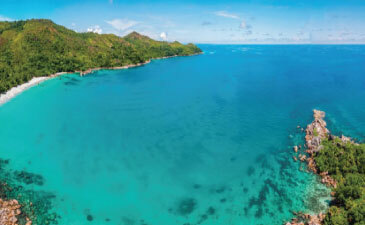 Seychelles, Mauritius and Ras Al Khaimah have seen a rapid growth since then. Which one wins our survey ? How did we select this jurisdiction as our winner? How did Ras Al Khaimah win? Well first, UAE’s credit rating is double A for S&P and Double A2 for Moody’s - only HONG KONG has the same rating within our jurisdictions. Secondly the United Arab Emirates ranks #11 IN THE WORLD BANK’S ANNUAL EASE OF DOING BUSINESS RANKIING. A top ranking for an offshore jurisdiction. Thirdly, the UAE ranks # 27 AMONGST 140 COUNTRIES IN THE GLOBAL COMPETITIVENESS RANKING, again, higher than most other offshore jurisdictions. Fourthly the country has a MATURE BANKING SYSTEM : over 50 national and international banks are present in the country. The UAE is also the # 8 LARGEST OIL PRODUCER IN THE WORLD. Ras Al Khaimah offers Access to a broad range of UAE Double Tax Treaty network with over 115 countries. Ras Al Khaimah’s registry is extremely efficient : incorporations can be processed within 24hours. Same applies to re-domiciliations. Finally, Investment protection is offered through numerous bilateral investment treaties (BITS), which is another added value the country offers. In summary, RAK has a solid infrastructure, a mature banking network, very good stability, tax advantages and a very efficient registrar. This is why the jurisdiction won our Best Offshore Jurisdiction award for this year. 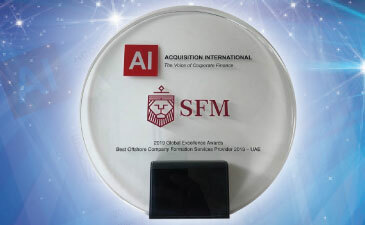 SFM is an official registered agent in Ras Al Khaimah, please the button below to register your company.